GEF and UNDP have partnered to support a number of projects in Central and South Asia to prevent snow leopard extinction and protect its fragile habitat. Scattered across 12 countries, only an estimated 4,000 snow leopards remain, placing this endangered species at risk of extinction. Staving off extinction cannot be achieved by fiat. Only by addressing larger, underlying issues like rural poverty, climate change, illegal wildlife trafficking, shrinking habitats, and lack of research and awareness can the number of snow leopards be rehabilitated. 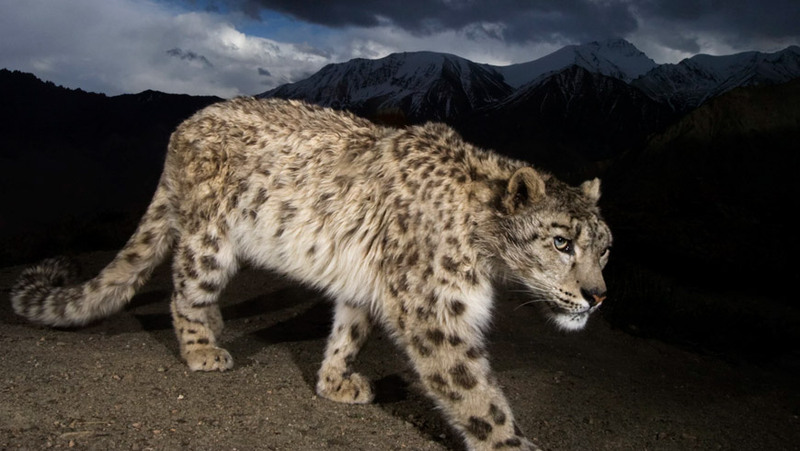 Financed by the Global Environment Facility, UNDP is currently supporting a range of projects that work to prevent snow leopard extinction and protect their habitats and ecosystems. Working with the men and women that share these fragile areas, projects are developing livelihoods, managing land use, increasing monitoring, actively preventing poaching and enhancing transboundary cooperation. One of these projects can be found in the Changthang landscape in the high range Himalayan ecosystem in Ladakh, Jammu and Kashmir, India. A land of extensive high altitude plateaux, lakes and river basins, and rolling hills – ideal habitat for snow leopard prey – it is also home to the Changpas, nomadic herders who understand intimately the intersection of humans and wildlife. To establish a symbiotic equilibrium, the UNDP is supporting the Securing Livelihoods, Conservation, Sustainable Use and Restoration of high range Himalayan Ecosystems(SECURE-Himalayas) project. Financed by the Global Environment Facility, this project works together with the Indian Ministry of Environment, Forests and Climate Change to reduce dependence on the delicately-balanced snow leopard ecosystems and reduce human-wildlife conflicts. To achieve this, the project is working to enhance existing income options, identify and develop new livelihood opportunities and support skill-based employment. By project end, forty thousand local farmers and pastoralists will directly benefit from project efforts, showing that effective snow leopard conservation is equally beneficial for human communities throughout the ecosystem. Another UNDP-supported, GEF-financed project is working high on the Tibetan Plateau, in Qinghai Province, China, to strengthen the effectiveness of the protected area system to conserve globally important biodiversity. Co-management and co-existence are the only ways to ensure the mutual survival of magnificent species and mountain regions. Located in the Sanjiangyuan National Nature Reserve, UNDP is working with the almost 200,000 people that inhabit this area of Qinghai Province, recognising that in the remote mountain regions where snow leopards live, local herders can serve as the eyes and ears of species protection. For example, Cuochi Village, with its 230 households located in the reserve and in the heart of snow leopard habitat, recently signed a co-management agreement with the reserve authority and the Qinghai Forestry Department. The agreement provides the community full autonomy in conserving wildlife and protecting the environment on their 240,000-hectare grassland area. Provided with wildlife monitoring equipment, park wardens actively patrol and monitor snow leopards and other species. As the agreed conservation targets are achieved, the community receives compensation to use for improving health and education in the village. The project is also working with 16 additional villages to establish similar co-management plans. Just as wildlife does not stay neatly inside the boundaries of formally protected conservation areas, neither does a species confine itself to one side of national borders. Populations range freely across entire landscapes of suitable habitat, unaware of the artificial boundaries imposed by humans. This fact is particularly relevant to snow leopards, given that as many as one-third of all snow leopard range is located within 100 km of an international border. Understanding that efforts to protect snow leopards and their habitats must respond to the unique challenges of remote habitats which span two or more countries’ borders, a UNDP-supported, GEF-financed project is working on Transboundary Cooperation for Snow Leopard and Ecosystem Conservation. Launched in 2016, and with a focus on Central Asia, the project will help ensure that key stakeholders have sufficient knowledge and tools to protect stable snow leopard populations in Kazakhstan, Kyrgyzstan, Tajikistan and Uzbekistan, while supporting the Sarychat/Northern Tien Shan transboundary mountain range. The countries, cultures and languages may be different, but the threats facing snow leopards, high mountain people groups, and those in downstream regions are the same. Cooperation among these societies and their governments is critical for effective high mountain conservation. For UNDP, GEF, and Global Snow Leopard and Ecosystem Protection Programme (GSLEP) partners, advancing the cause of snow leopard conservation represents the opportunity to protect globally significant biodiversity and work toward the improved well-being of humans, as well as safeguarding essential ecosystem functions benefitting all life on Earth. By acknowledging humans as an integrated part of even the most remote ecosystems, projects such as these can begin to address not only the effects of unsustainable human behaviour leading to the snow leopard‘s decline, but its underlying drivers as well. It is fitting, then, that the snow leopard serves as an icon for both preservation and progress, and as a focal point for this suite of UNDP-GEF projects that support Central, South and East Asia working for the benefit of people and the planet. For more information on UNDP and GEF efforts to save the snow leopard, read the full UNDP-GEF publication, Silent Roar.